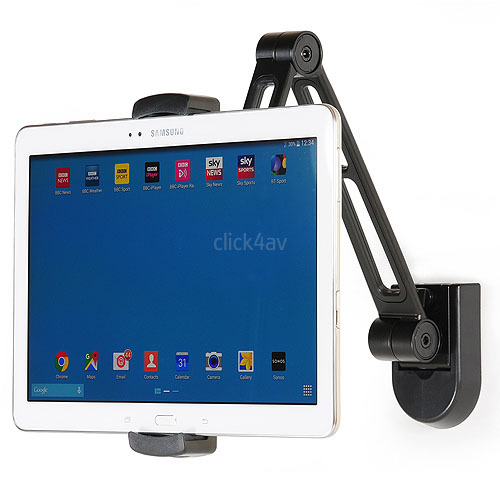 An adjustable wall or under cabinet kitchen mount for iPad, iPad Mini, iPhone, plus most 4.7-12.9 inch tablets. 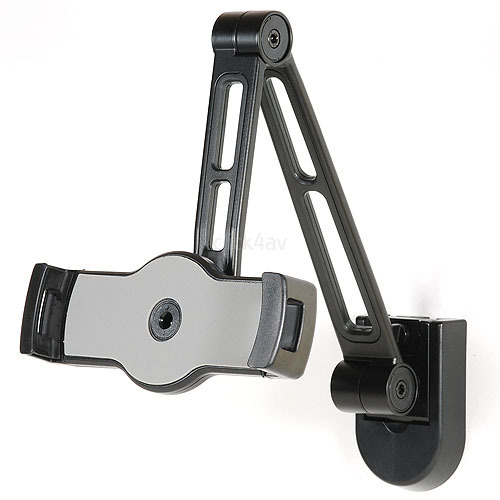 The tablet is gripped by the spring clamps with rubber cushions and can be rotated portrait or landcape. 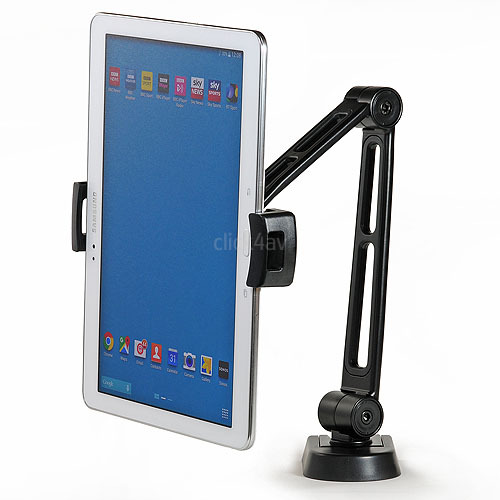 The stand has reach and height adjustment and the tablet can be turned. 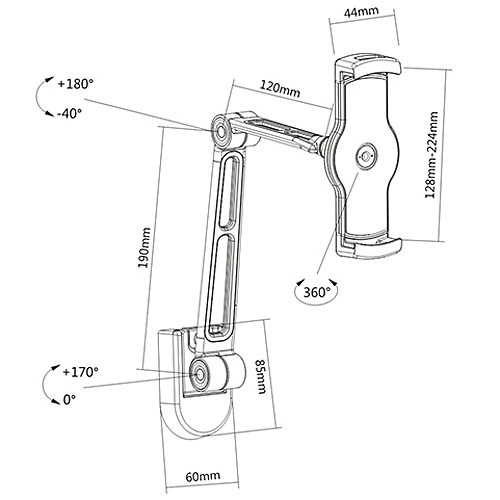 The stand can be quickly removed from the mounting plate with a thumb screw. 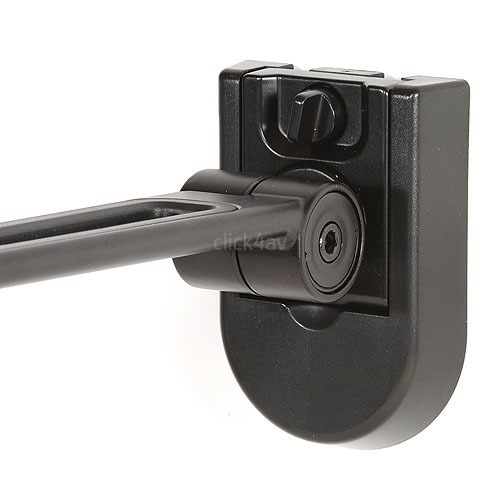 A cover is supplied for the mounting plate when not in use. Complete with wall fixings and hex keys.